Let’s get two birds with one stone… or so the saying goes. Walt Disney Disney Studios released a sneak peek of the new “Frozen” short, titled “Frozen Fever,” that will feature before Disney’s live-action movie “Cinderella,” coming out on March 13. Not only am I excited about the new “Cinderella” movie coming out, but this is pretty interesting. I’ll admit I’m a bit tired from seeing “Frozen” everywhere…every..where, but I’m interested. 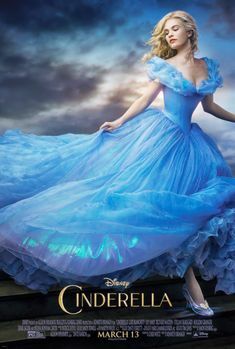 Who is going to see “Cinderella” in theaters? This entry was posted in Entertainment and tagged cinderella, disney, fever, frozen, movie by JNYFAV. Bookmark the permalink.